Thank you. Super quick shipping. Fast shipping. Excellent Seller. Thank you! My Mom is 94 years young and prone to urinary tract infections. 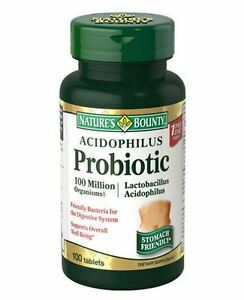 By using Nature's Bounty Acidophilus Probiotic in addition with her minimal daily medications, she has been free of urinary tract infections for over one year. I highly recommend this product for anyone but especially to keep your older loved ones digestive tract in a healthy state.